Michela Selicato is an agronomist but above all she is a woman in love with the colours of the place where she lives, on the plain of Apulia. It is a plain brushed by the wind, with an abundance of colours, a plain bathed by a sea of gold, an expanse of wheat fields. Michela is responsible for roughly 500 commercial farms in the province of Foggia, all of which have joined the Armando Deal and to understand how much she loves her job just look her in the eyes. It is her job to check the fields, to see if the crop has any diseases, her job is to guide the farmer to obtain the best result. The fields are her patients and she takes care of them as if they were children. Because wheat is a serious thing, to grow wheat one needs love first of all. I earn my living as an agronomist, I go to the fields and check the growing stage, I check if the plants have any diseases and advise the farmer. 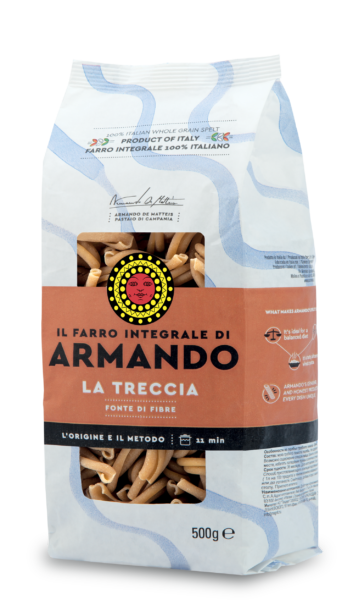 In the province of Foggia alone I look after 500 commercial farms that have joined the Armando supply chain deal. I have a very good relationship with all of them, they make me feel as if they can't do without me. On average I go to see the fields two to three times every year at the most crucial stages of cultivation, such as weeding and applying fungicides. If there are any particular problems, or if the farmer needs help, all he has to do is call me and I go straight away. I love to walk through that sea of many colours with the wind blowing, I love that green that turns yellow until it becomes gold, I love to feel the wind on my body. I'm proud to be a part of this revolutionary adventure. 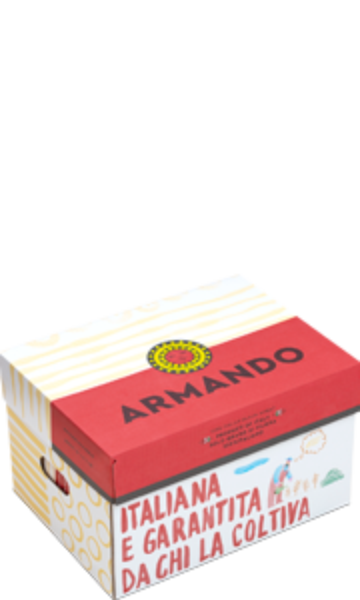 The difference between ordinary wheat and wheat produced by following the specifications of Armando lies in the percentage of proteins. 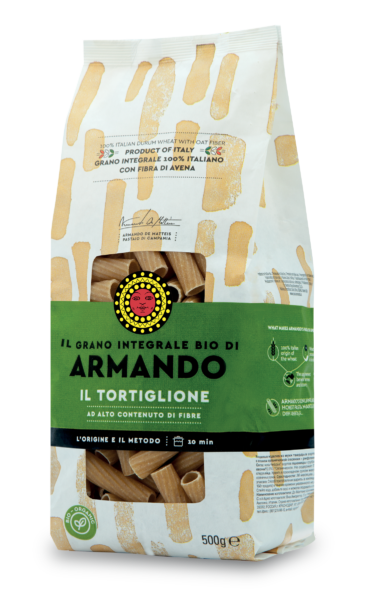 In normal wheat it is about 12% - 12.5% while in Armando wheat it is 14% - 14.5%. 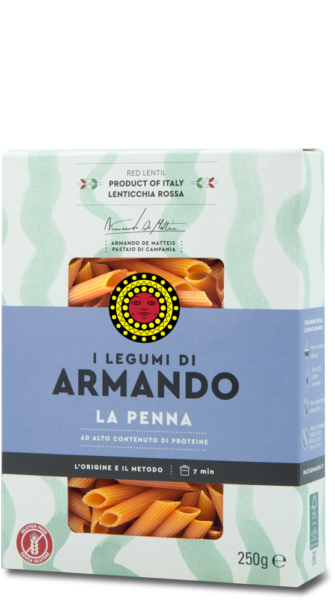 This allows for having a better pasta and a flavour recognised by its goodness. 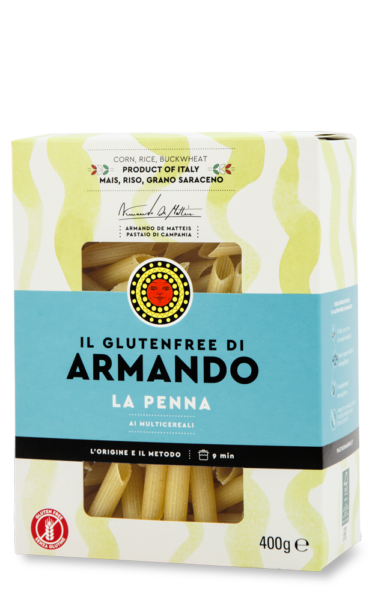 In addition it's 100% Italian wheat. All things considered, the cultivation technique doesn't change much. The fact is that in the past farmers paid little attention, they sowed and harvested without technical means. The secret lies in the very close collaboration between producers and the supply chain partners allowing for better yields and better quality results; all things considered the secret is in the approach. The supply chain is made up of a certain number of players: the researcher, who develops the best variety; the seed producer, who produces the necessary quantity for marketing it (Coseme); the wheat distributor who sells the seed to the farmer; the farmer who cultivates the wheat; the technical partner who works with the farmer throughout the growth process (Syngenta) providing assistance and technical advise; the wheat distributor again, who collects and stores the wheat in silos; the pasta manufacturer who processes the wheat into semolina at the mill and then process it until it turns into pasta; the distributor who delivers the pasta to shops and finally, the consumer who is the link closing the circle. My role does not end with the harvest as one of my duties is to collected data on the harvest and the quality of the yield. It's a model, it is the seed of a new way. 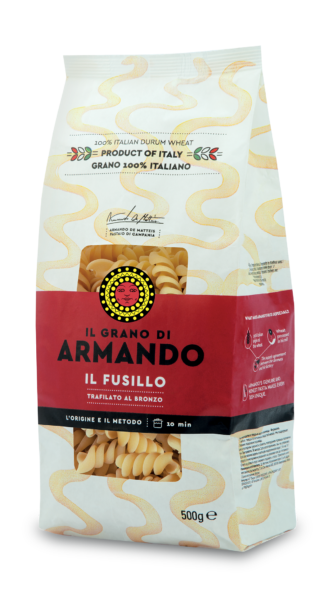 The Grano Armando project is responsible for making changes that are impacting the world of agriculture, a world that was completely different than it was a few years ago. This is the point, this is what makes the difference.